Join us Sunday, July 26 from 5:00-7:00 p.m. at Fire Station No. 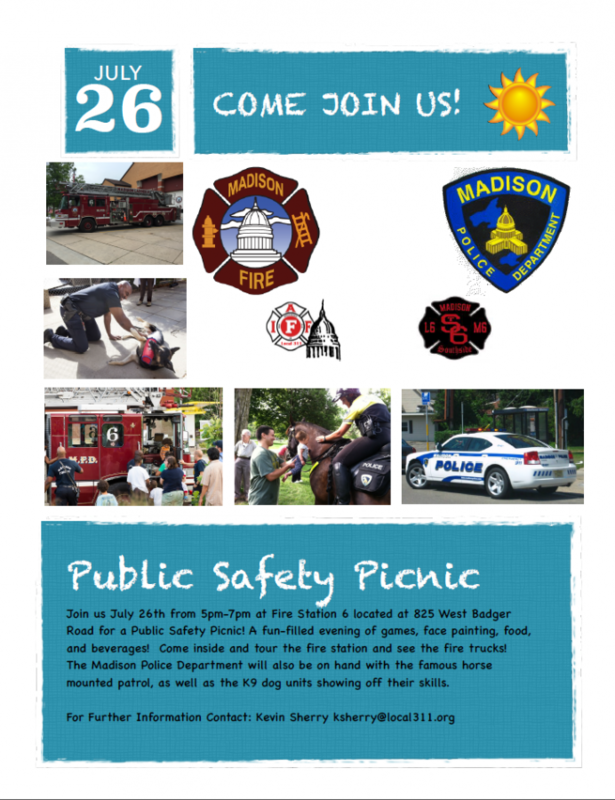 6 (825 W. Badger Road) for a Public Safety Picnic! A fun-filled evening of games, face painting, food, and beverages! Come inside and tour the fire station and see the fire trucks. The Madison Police Department will also be on hand with the famous mounted patrol horses, and the K9 units will be showing off their skills.